The Board of Smart Growth America (SGA) is pleased to announce the selection of Calvin Gladney to succeed Geoff Anderson as the third President and CEO in the organization’s history. Mr. Gladney brings to SGA a wealth of practical, hands-on experience in helping residents and leaders of towns and cities across the country sustainably revitalize neighborhoods while ensuring that historically underserved communities aren’t left behind along the way. Immediately prior to joining SGA, he spent more than 10 years at the helm of Mosaic Urban Partners, a firm he founded that delivered redevelopment strategies, addressed persistent blight, and catalyzed inclusive development in dozens of cities of all sizes around the country. During that time he also served as a Senior Visiting Fellow for Equity at the Urban Land Institute and an adjunct professor in the Real Estate Program at Georgetown University. With a deep background in the private sector, Mr. Gladney is well-suited to lead in this moment. He has served alongside SGA staff on numerous technical assistance workshops for local communities, bringing a keen knowledge of how to bring private sector investment into places in a smart and equitable way. 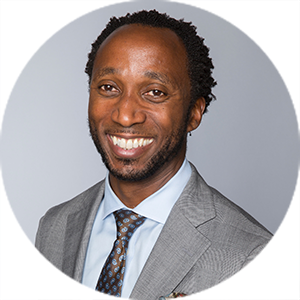 His experience and practical work with private sector actors who build and redevelop neighborhoods gives him a unique vantage point to help change policy at the national, state, and local levels, and bring more sustainable, inclusive smart growth to communities across the country. Calvin Gladney will begin his duties in mid-April. About Smart Growth America: Smart Growth America is the only national organization dedicated to researching, advocating for and leading coalitions to bring better development strategies to more communities nationwide. From providing more sidewalks to ensuring more homes are built near public transportation or that productive farms remain a part of our communities, smart growth helps make sure people across the nation can live in great neighborhoods. For more information visit www.smartgrowthamerica.org.